We have some new General Mills Coupons available to print. These coupons switch over every Thursday so check back each week for new offers! Note, there are only 3 available right now, if they add more, we will update you with the new ones! 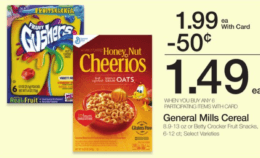 Now through 7/5, Kroger has Cheerios cereal on sale for $1.99 making it as low as $0.99 each after coupon. Or buy 6 items and get an extra $0.50 per item off. 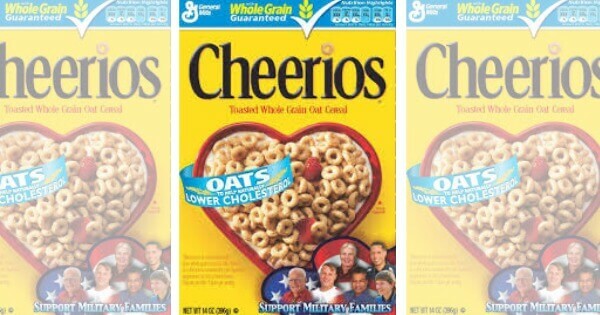 Starting 7/3, at ShopRite pick 4 select General Mills cereals and get them for $1.77, making Cheerios cereal as low as $0.77 each after coupon. New $2/1 BIC Soleil Shine Razors Coupon + Deals at Target, Walgreens & More!